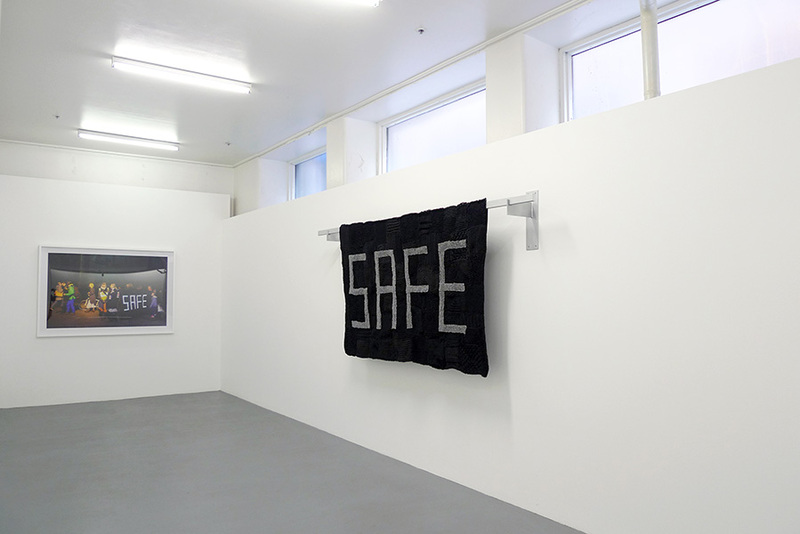 HOPE & SAFE presents works from Kate Just’s two public knitted banner projects in the UK and Melbourne responding to violence against women and current media coverage of this issue. 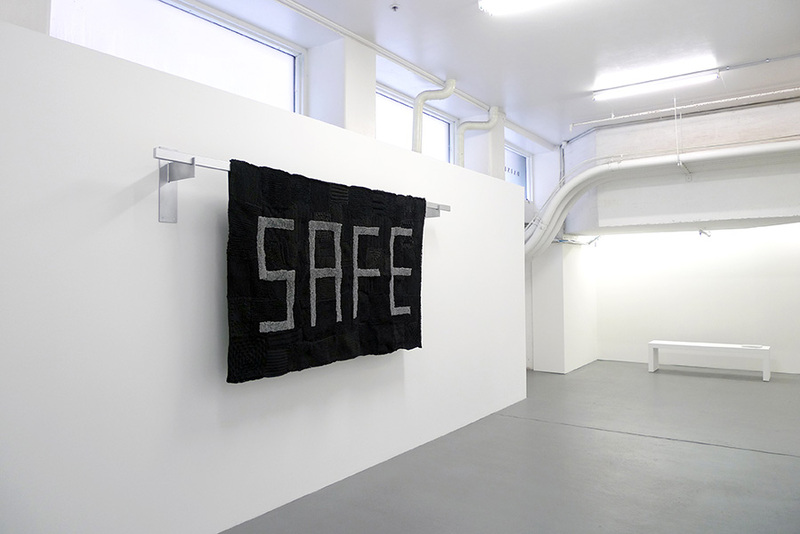 Referencing and reviving moments in feminist history in which collective action and craftwork were deployed to enact change, HOPE & SAFE invokes a utopian reimagining of women’s safety and agency within the urban environment. 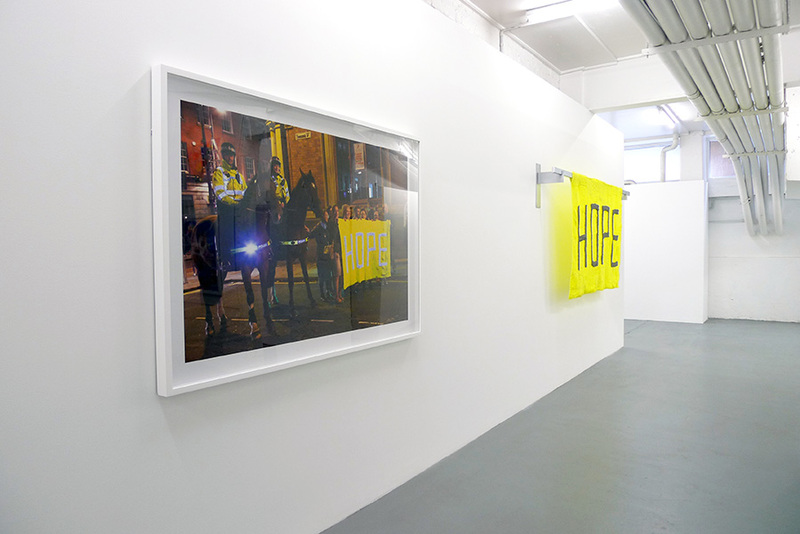 Also presented in the exhibition is the book HOPE SAFE, documenting the projects and featuring an essay by Dr Juliette Peers. Kate Just is an American-born Australian artist. She holds a Doctor of Philosophy (Sculpture) from Monash University, a Master of Arts from RMIT and a Bachelor of Fine Arts (Painting) from the VCA, where she has been a Lecturer in Art since 2005. Just has exhibited in Australia at Daine Singer, Craft Victoria, Gertrude Contemporary, CCP, Melbourne Art Fair, Silvershot, CAST, Chalk Horse Gallery, Conical, West Space, First Draft, MOP, PICA, Casula Powerhouse, CCAS and Heide Museum of Modern Art. Internationally, Just has exhibited at Auckland Art Fair, AC Institute New York, and the Factory at Kunsthalle Krems, Austria. Just has been the recipient of grants from the Australia Council for the Arts, Arts Victoria and City of Melbourne and has been the winner of various prizes including the Rupert Bunny Visual Arts Fellowship (2013), The British Council Realise Your Dream Award (2012) and the Seimen’s Prize (2007). She has undertaken local residencies at Gertrude Contemporary Art Spaces and the Australian Tapestry Workshop and international residencies at Krems (AIR) and the Australia Council Studio Barcelona. Just’s work is held in collections including Artbank, Ergas Collection, City of Port Phillip, Ararat Regional Art Gallery and Proclaim Management Collection.